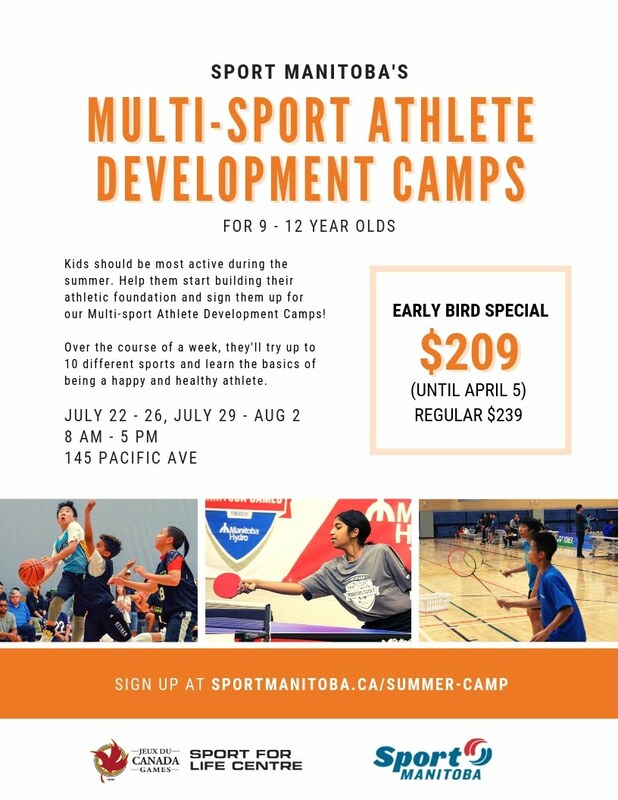 Sport Manitoba's Summer Camp is back with more sports, more classes and more fun! Last year was our first edition and it was completely sold out. We are excited to be back this year and we are expecting it to be sold out again! 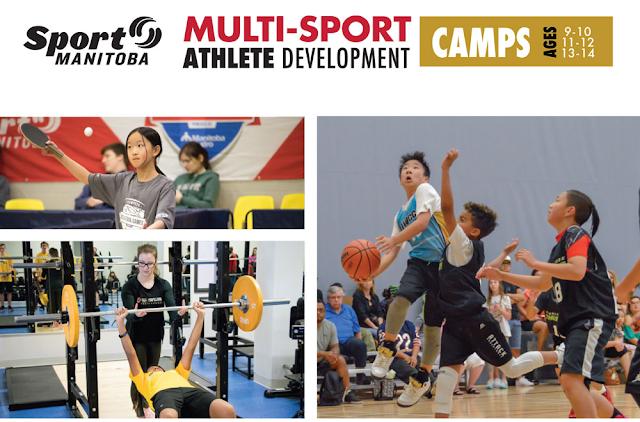 Our multi-sport summer camp is developed by a team of Sport Manitoba activity leaders and Sport Performance Specialists. Choose from six camps for kids aged: 9-10 years old, 11-12 years old, and 13-14 years old. All camp activities are tailored to the age group’s stage in the athlete development cycle. Sports Camp for kids aged 9-12: campers will play games, discover TEN different sports (including BASKETBALL), learn movement skills, and be introduced to sport-science training in a safe and fun way that will help them remain active for life. Performance Camp for kids aged 13-14: athletes will play games, learn proper warm-up and strength training techniques, test their speed, agility, and coordination, take fitness classes, participate in sessions with nutrition and mental skills professionals, and more! All camps will be held at the Canada Games Sport for Life Centre, from July 22 to August 2 between 9 a.m. - 4 p.m. Secure your spot today! AT CHECKOUT, USE PROMO CODE "Basketball123"